Kenneth and Sarah Jane Wright live in Utah with their four uniquely intense children. In 2008 Sarah Jane opened a simple online shop that has since grown into a worldwide business with art prints, fabrics, wallpaper, puppets, and illustrated children's books. Kenneth is a full-time educator and history teacher. Together Kenneth and Sarah Jane share a ridiculous number of hobbies. On any given day at the Wright house you'll see treehouse building, pastry making, spontaneous musicals, and kids tucked into cozy nooks, reading stacks of books on EVERYTHING. 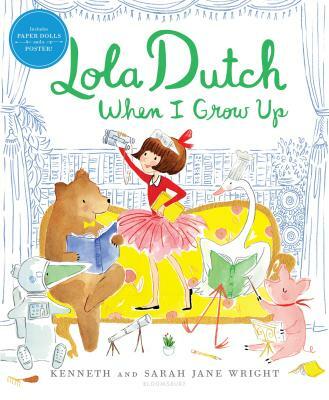 They are thrilled to be writing picture books about Lola Dutch together.